BCL Chat: What’s Up with Whitewashed Book Covers? In the latest bonus episode, we talk whitewashed media and Blackface Becky’s new book (you know who we mean). Leave a comment on BCL Chat: What’s Up with Whitewashed Book Covers? What is a “graphic novel”? We don’t come up with an actual answer, but we know it’s something bougie. BCL Chat: What Book Must Every Black Woman Read? 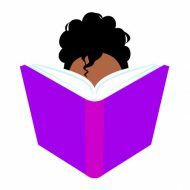 Leave a comment on BCL Chat: What Book Must Every Black Woman Read? Black girls in space with poppin’ melanin? We’re here for it. This book of poetry inspired us to make 2017 blacker than ever. Read it.